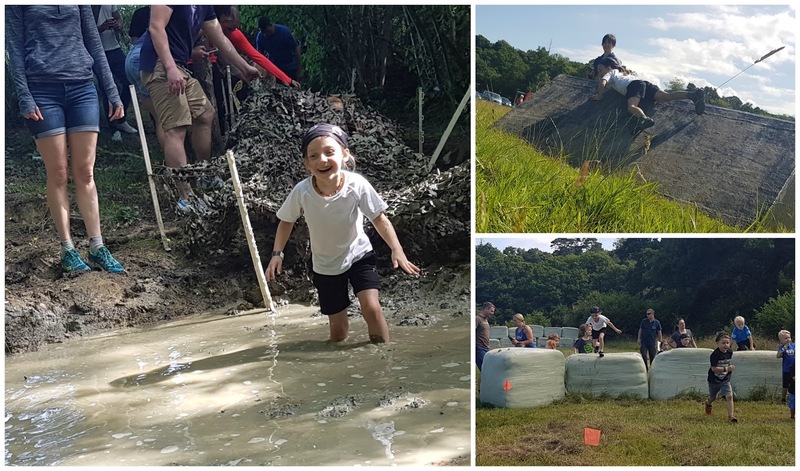 On the last weekend of July 2016 there was a weekend of muddy obstacle course racing and other related activities hosted by Mud Monsters Run in the countryside just outside East Grinstead in Surrey. Sadly we found out about it too late to sign up for the whole weekend. However we were able to book Matilda in for her second obstacle race. The children's obstacle race took place on the Sunday of the weekend and was organised by Ultm8 Warrior, who are the same company that organised the first obstacle race that she took part in just a few weeks earlier [read about it here]. The course itself covered about 800 metres [gps trace] as it weaved back and forth from the main meeting area into the surrounding outcrops of trees and back again. There were three children's races on the day. A one lap course for 4-6 year olds, two laps for 7-9s and three laps for the 10-13s. She got to tackle the same set of obstacle that she had in her first race. So we're talking balance beams, various obstacles to jump over and crawl under, hoops, bales of hay to scramble over and of course the pièce de résistance - the cargo net climb. However, unlike her first outing, this one also featured generous helping of mud. The cargo net crawl took place over an area of thick mud which lead straight into a knee-deep muddy pool. Matilda's feet got stuck in the mud here and she just stood there laughing at her seemingly hopeless predicament. 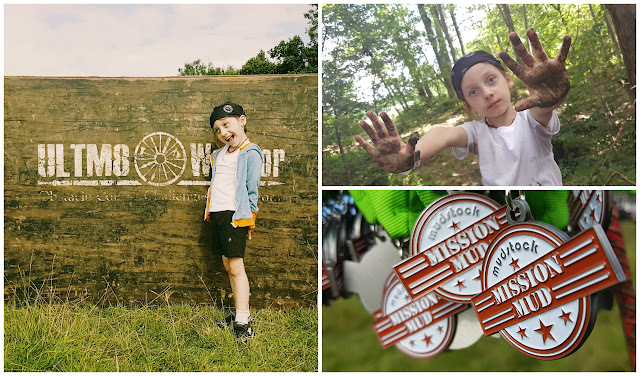 With all the obstacles complete Matilda was presented with her bespoke finisher's medal and we treated ourselves to a piece of cake from The Split Screen Coffee Company who serve refreshments from their vintage VW Camper Van. 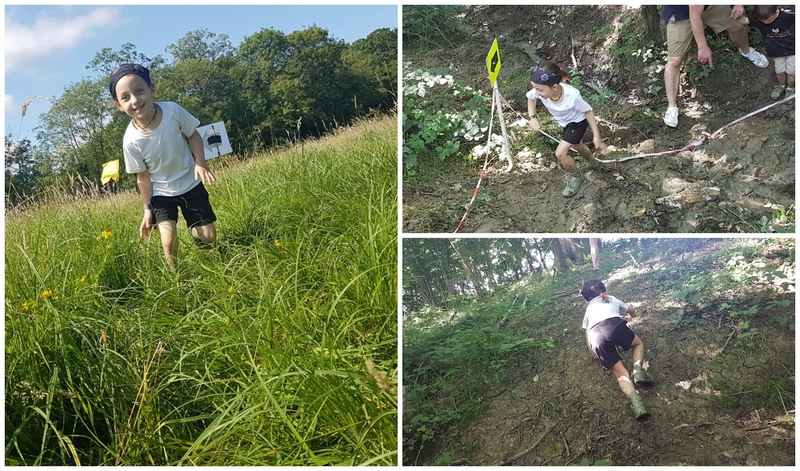 The morning had been great fun and Matilda is enjoying the obstacle races more than just running alone so I think we'll be looking for more OCR's in the future!